IBM Security VARs reviews by real, verified users. Find unbiased ratings on user satisfaction, features, and price based on the most reviews available anywhere. SunGard Asset Management Systems provides a comprehensive range of asset management solutions to global financial institutions, including rapidly growing regional asset management institutions, small to mid-sized asset managers, foundations, and fiduciaries. SunGard delivers integrated solutions for investment management, personal trust, institutional trust, employee benefits, private banking, custody operations, and securities lending that enable institutions to profitably serve their high net worth clients. SunGard consulting services help to improve operational performance and productivity. 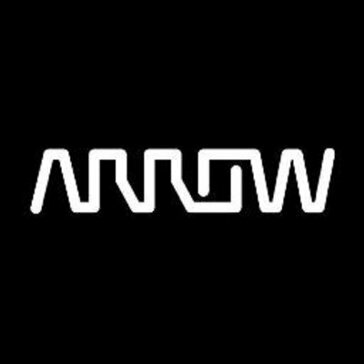 About Arrow Enterprise Computing Solutions IBM Group IBM Group of Arrow ECS is an IBM Distributor for: The e-server product line (iSeries, pSeries, xSeries) Storage Software Services Let the IBM Group of Arrow ECS take your business to the next level. With over 100 combined years of experience across the leadership team, enChoice embodies and delivers success. They achieve this through our holistic approach, innovative solutions, real-world experience, and superior maintenance and support in the IBM FileNet, ECM, WebSphere, Lotus and Tivoli arenas. Headquartered in Chandler, Arizona, enChoice maintains regional offices in Shelton, CT and Miami, FL; and maintains nationwide sales coverage from locations in New York, Massachusetts, Connecticut, Pennsylvania, Georgia, Texas, Colorado, and California. Gartman Systems is a software development company dedicated primarily to IBM's iSeries with a turn key product offering designed for wholesale building material distributors. Gartman offers a variety of technical services including systems design, programming, training, networking, web development, etc. GE Interlogix, CASI division offers security solutions that span all market segments from integrated systems serving large enterprise end users to single standalone systems for smaller end users. Ingram Micro Inc. is the world's largest technology distributor and a leading technology sales, marketing and logistics company. IBM Business Partner with a Total Store Solution for the College/University Book Store Industry including POS, Accounting, Web Site and back office functionality. As an information security services and consulting firm, Net Compliance Solutions (NCS) provides world-class technology solutions, methodologies, management insight, and deployment assistance to our clients. 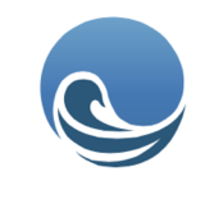 Our mission is to enlighten and empower people and organizations to make informed decisions about investing in, and implementing, compliance and security technologies. ScienceSoft is an international software development and consulting company with headquarters in the USA (McKinney, Texas) and development centers in Eastern Europe and Asia. 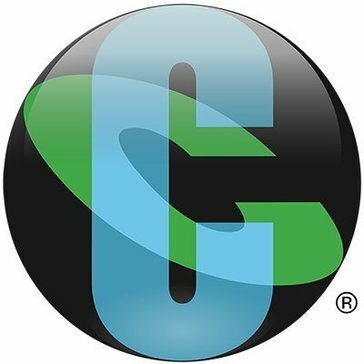 Industry-leading software, hardware and advanced IT services provider. Verity Group is a Chicago-based, legal technology company providing the full spectrum of eDiscovery and Managed Review services to law firm and corporate clients across the US. Verity Group seamlessly integrates legal hold, data identification & collection, eDiscovery processing, expert project management, data hosting and managed review, all through a single source. Verity Group operates with a vendor-neutral business model. We partner with numerous leading technology and litigation support companies to provide the full spectrum of products and services to our law firm and corporate clients. 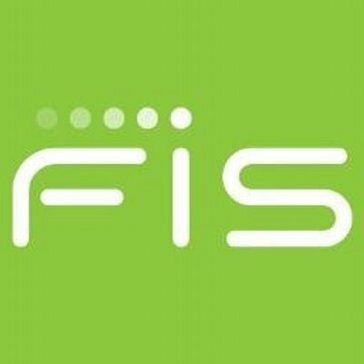 FuGen Solutions is an independent service provider driving innovative strategies and solutions around federation, user-centric and digital identity management, centered around its on-demand verification service. Abrahams Consulting specializes in building and nurturing Relationships to whom we bring niche IT Security, Storage and Networking solutions. ACE IT Solutions delivers over 25 years of expertise in areas ranging from network consulting to support for all small to medium-sized businesses. Achilles Shield, Inc. (ASI) is a unique provider of Cybersecurity, IT, and Strategic Consulting services for global commercial and US Federal customers. Delivery uniquely focuses on partnership and customer trust, and continuous business risk management. All employees are trained on core values and our unique approach to service delivery. We maintain service and solution catalogs based on strategic relationships with other contractors and vendors. Based in the San Francisco Bay Area, Eaton & Associates provides IT services to a wide range of clients, including Government and Non-Profit Organizations (NPO), Small and Medium Businesses (SMB) and the Enterprise. Our goal is to deliver value through a combination of tactical and strategic technical support solutions so that our clients can focus on their core competencies and increase their competitive advantage. Aktion Associates is a Premier Business Partner and IBM MSP Partner that specializes in designing and installing high-performance infrastructures for businesses of all sizes. Allant is a marketing technology services provider that delivers end_to_end omni_channel services for a marketer. Alliance Integrated Technology is a leader in deploying high-end, customized hardware and software solutions for a variety of industry ranging from Higher Education, Enterprise, Public Institution, Government, to Media & Entertainment. Alliance Integrated Technology was formed in 2009 to provide integrated, customized, high-end technology solutions in its headquarter in Pasadena, California. AM Data Service provides organizations with enterprise-class IT solutions. We deliver ongoing IT consulting, managed IT services, software development and Enterprise Content Management (ECM) solutions. Aqueity is a Chicago IT consulting firm that specializes in providing a full spectrum of managed services ranging from end-user support to robust information systems design and integration. We are primarily focused on the small to medium business market place. Arbor Solutions has a long track record of delivering innovative IT business solutions to our customers and community. In a world that is driven by data, the ability to collect it, organize it, understand it, and secure it is the driving force behind every decision and action a business takes. Arcogent offers professional services and solutions that deliver on your Corporate Performance Management (CPM) vision. A disciplined approach combined with expertise in Business Intelligence (BI), Balanced Scorecarding, and the Office of Finance deliver the results our customers expect. Arkansas Data Services (ADS) specializes in providing medical billing software solutions. Hi there! Can I help you find the best IBM Security VARs solutions?